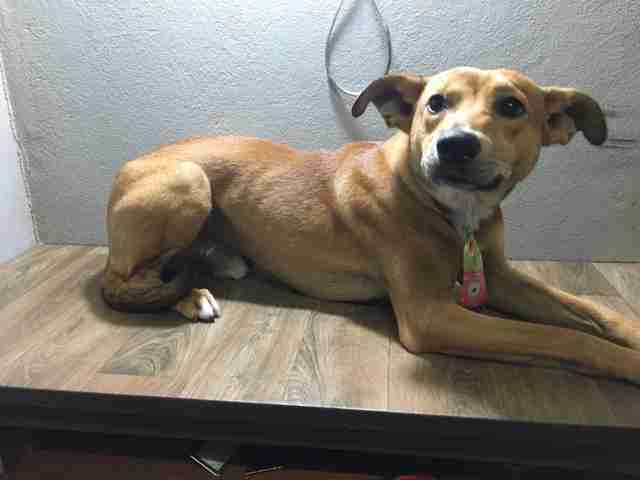 No one can say for certain where this downtrodden-looking pup came from, or why he chose to take refuge on the campus of a college in Brazil. But there is no doubt that he found the perfect way to get the attention he needed. 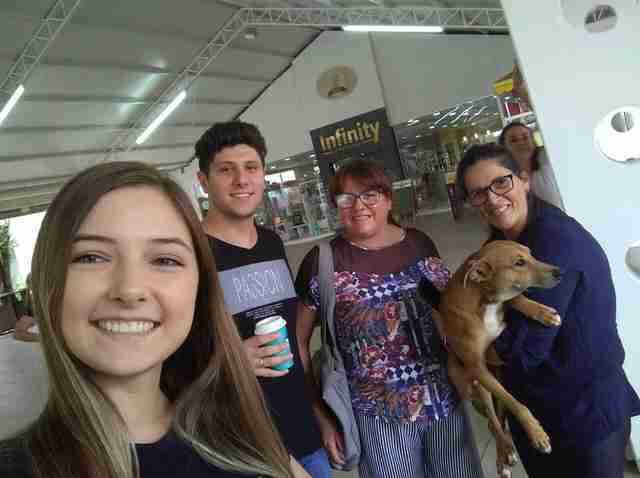 The dog recently turned up at Feevale University, in the city of Novo Hamburgo, settling in front of the college's bookstore. What exactly the pup was doing there was anyone's guess, though the stray seemingly discovered a way to make it clear that he wasn't all alone by any choice of his own. 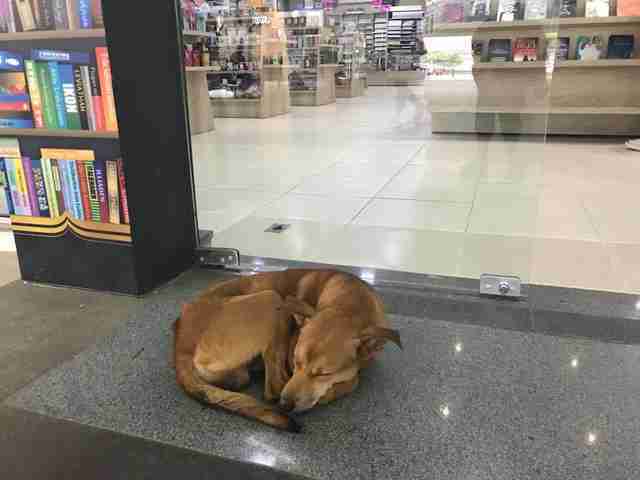 Last Friday, the dog decided to walk into the bookstore and steal a book. But not just any book. The novel he chose was "The Days of Abandonment” — a title quite likely describing his present predicament. Surveillance video shows the brazen theft taking place. Moments later, a student enters and returns the recovered book, though the dog's story doesn't end there. After the footage above was posted online, it quickly went viral, racking up more than 750,000 views in a matter of days. But more than just being an unusual occurrence caught on tape, all that attention had a life-changing effect. This week, a group of local animal rescuers came to the college and changed the dog's life forever. 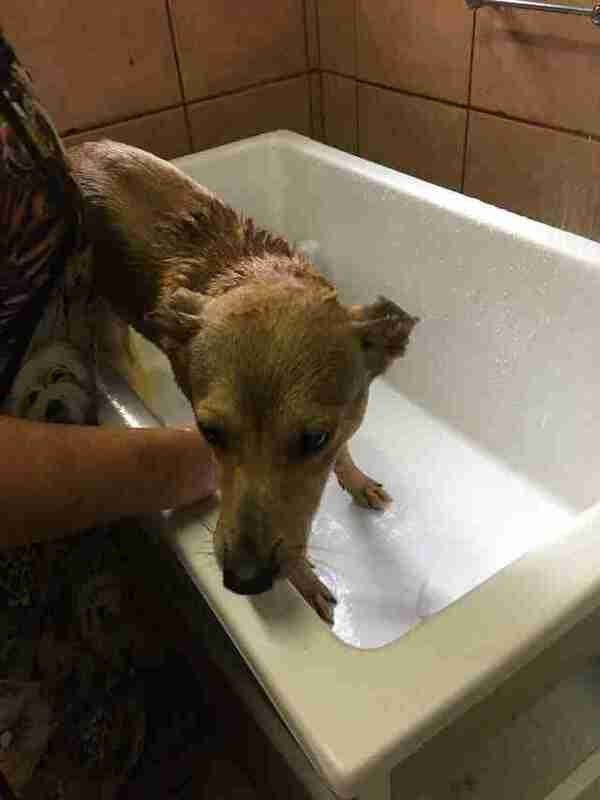 The former stray dog has since been taken to the vet, vaccinated and given a bath. According to the bookstore he attempted to rob, the sweet pup is now safe in a foster home where he's awaiting adoption by a forever family. And with that sad, previous chapter of his life now behind him, with any luck this dog's story will have the happiest ending.